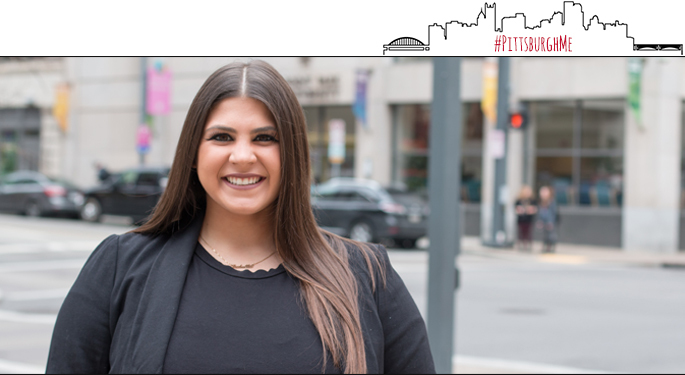 I chose Point Park for its urban setting and the networking opportunities. How does Point Park differ from other colleges you have visited? It is really true when they say Point Park is on the corner of Real and World, because you get that campus feel but when you walk two blocks down the street. You are in the heart of Downtown Pittsburgh. Robert O’Gara. For public relations and advertising students, you will likely have him more than once. He not only teaches you excellent tools and skills in the classroom, but he makes sure you get involved outside of the classroom and guides you to be successful. Tell us about how you landed your internships. If you are into art, you might know who Baron Batch is, a former Pittsburgh Steelers running back who retired and took on art. I was in No. 1 Sushi in Market Square when in walked Baron Batch and his publicist, Renee Sroka. I was sitting at a table with my friends when Baron came over and started talking to us. He introduced me to Renee. After chatting with Renee for a bit, I asked her if she was looking for any interns and gave her my business card. Two weeks later, I was hired as her public relations/special events intern. For the summer of 2015, I landed my dream internship in Las Vegas, Nev., at Magnetic Public Relations, and the previous summer I got my foot in the door as a talent management intern for Talent Group in Pittsburgh. NETWORKING! At Point Park, I've been taught to put myself out there and make connections because you never know who you will meet and where it can take you. What's your advice for incoming students? Get involved! You not only get the experience to start building a resume, but it is also a way to meet people. I have made friends for life by getting involved at Point Park.